One of the first things I notice when I enter some other VR experience is if the 3D object feel like they are home. Many studios apply whatever looks ok and place it in their studio. This makes the car feel like it doesn't belong. Since we are using a render engine to develop our environments, we can use the same engine to make our HDRI's. This HDRI was developed exactly where our object will be. Making the reflection accurate and convincing. This is where this technique really pays off. Once you pull everything together, since it is cohesive with one another. It really helps get us an almost perfect result with the technology available today. VRED has the ability to make HDRI's as well, they are called cube images. I prefer to use MODO and Octane for my HDRI's. Here you can see how the reflection has nothing to do with the environment. Making the sphere distracting and unpleasant to look at. 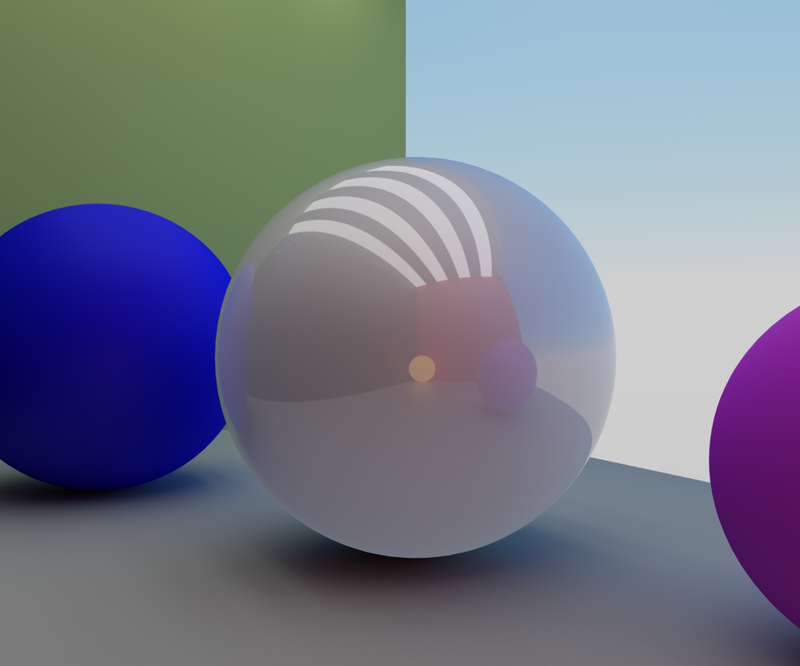 Here is the same scene inside of VRED with the HDRI I made applied to the white sphere. You can see how it has qualities of a real computed rendering. Here you can compare the rendered image that took twenty minutes to produce and the baked out VRED file that was taken in real time. Even though the results aren't perfect. It give you the ability to really make an impression. Especially in an immersive medium like VR.